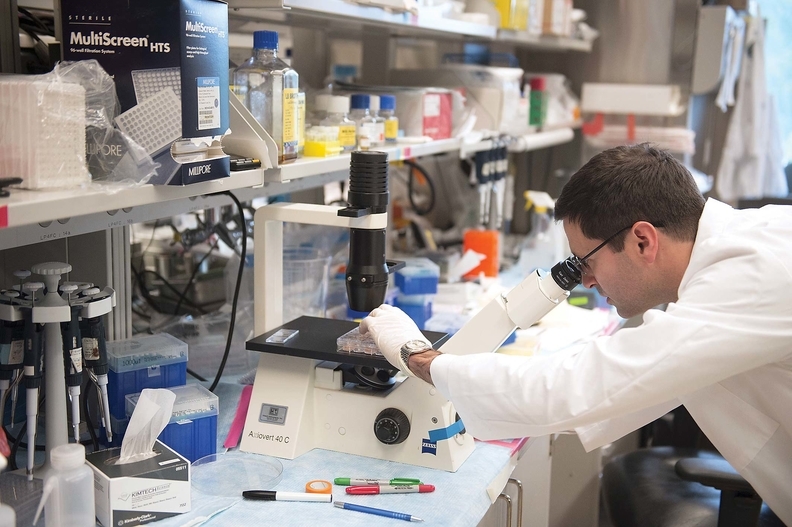 Dr. Christian Hinrichs, assistant clinical investigator at the Center for Cancer Research at the National Cancer Institute, helped develop advanced, cutting-edge procedures to cure two women of a rare form of cervical cancer. The Patient-Centered Outcomes Research Institute has awarded $85 million to researchers that will fund 16 new studies focused on treatment options for conditions like opioid abuse and cancer. The institute, a not-for-profit authorized by Congress in 2010, supports studies that help patients make more informed decisions about what treatments are right for them. The studies typically compare different treatment options for a condition to determine which is best. The studies are also used by providers, insurers, employers and policymakers. Several institutions won funding for studies, including the University of Washington, Vanderbilt University Medical Center and West Virginia University. The University of Washington was awarded $5 million to compare Ohio's and Washington's approaches to reduce unsafe opioid prescribing in their workers' compensation systems. The university was also awarded another $8.5 million for a study that will compare bladder removal surgery with a treatment that uses therapy. Vanderbilt University Medical Center will study stroke treatment options with a $15.7 million award. The researchers will compare traditional continued stroke care to a model which involves a registered nurse and health educator visiting the patient for a year after their stroke. The model was previously piloted by the CMS Innovation Center. "These new awards will help answer significant questions about treatment and care delivery that are important to patients and those who care for them," said Dr. Joe Selby, executive director of the institute, in a statement. "They reflect the best ideas for urgently needed research on topics prioritized based on input from patients, caregivers, clinicians and other stakeholders. The results will give healthcare decisionmakers evidence they need to make better-informed health and healthcare decisions." Since its inception in 2010, the Patient-Centered Outcomes Research Institute has funded more than 440 studies with $2.4 billion.